Do you want to be better then you have ever been? Hypnotherapy will Improve Confidence NOW! How would it feel to wake up each morning as the relaxed, happy and fulfilled person that you have always wanted to be? To finally free yourself of all those limiting thoughts and behaviours that have been holding you back, so that you can create the life that you’ve always wanted? 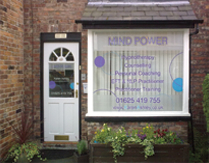 At MIND POWER HYPNOTHERAPY CHESHIRE we provide our clients with an efficient, effective and professional service. You can rest assured that you will be treated in a safe, comfortable and relaxing environment and that your therapist has a wealth of skills, knowledge and experience to draw on. Hypnotherapy can help you release the old unwanted behaviours and begin to create new ones but how does it work? The reason why hypnosis is so effective is that it bypasses the conscious mind and creates an alternative state of consciousness whereby attention is focused away from the present reality. Rather like daydreaming, attention is then focused towards particular images, thoughts, feelings, perspectives and behaviours which will help us to change or update the information stored in our unconscious, thus changing our unhelpful habitual responses. It is a safe and very enjoyable process that can change lives in positive and exciting ways. Our bodies already have the natural mechanisms to allow us to live normal, happy and fulfilling lives, – but occasionally these natural mechanisms need a little help operating properly. Particularly effective at helping to stop smoking, weight loss and insominia. So, can anyone be hypnotised? The simple answer is probably yes! Have you ever driven down the motorway and yet had no recollection of parts of the journey? Well, you were in a ‘trance’ state. Have you ever found your self lost in thought, staring into space? Yes? You were in a trance state. Have you ever lost yourself in a book or film completely unaware of things around you? You were in a trance state. Anyone who has experienced any of the above can usually very quickly relax into a hypnotic trance state. 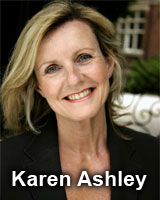 Mind Power Hypnotherapy Cheshire with Karen Ashley offers EFT and hypnosis therapy to clients throughout the Cheshire and Greater Manchester area. This includes Wilmslow, Alderley Edge, Mobberley, Chorley, Mottram St Andrew, Macclesfield, Peover, Tabley, New Mills, Altringham, Cheadle, Stockport, Poynton, Prestbury, Buxton, Middlewich, Northwich, Knutsford, Winsford, Lymm, Manchester, Salford, Trafford, Sale, Bowdon, Hale, Cheadle Hulme, Bramhall, Heald Green, Gatley, Marple, Congleton, Leek, Ruston, Tatton and the surrounding areas.